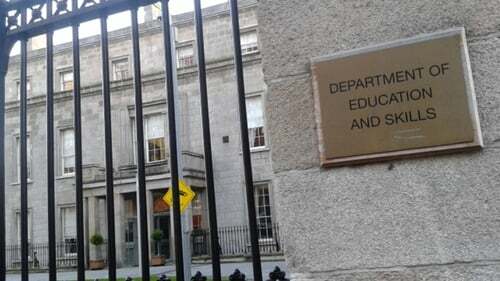 A Department of Education-run scheme to facilitate access to third level education for some student asylum seekers appears to have stalled. Two rounds of CAO offers have already been made, but the department has yet to announce the programme for the upcoming academic year. Children in the protection process are entitled to free primary and post-primary education, however, they are not automatically entitled to free third-level education. In 2015 the Department of Education introduced a pilot scheme offering third-level supports to some asylum seekers. In line with the recommendations of a Government commissioned report, it was for those who had applied for protection or leave to remain five years ago or more and who had attended school here for five years of more. Figures obtained by RTÉ News showed that in the first year of the pilot scheme, 39 people applied and two were deemed eligible. The following year, 15 applications were put forward and again two were successful. Last year, five people applied and only one was deemed eligible. The Department of Education has said the scheme was recently reviewed with a decision expected shortly. The pilot scheme has been criticised by the Irish Refugee Council (IRC) for being too restrictive. Speaking on RTÉ's This Week Programme CEO Nick Henderson said the fall in applications for the pilot scheme could not be attributed to a lack of demand, citing the success of University and IT scholorship programmes for asylum seekers, and the fact that the Irish Refugee Council's own third level fund is over-subscribed. This education fund was introduced in 2015, the same year the introduction of the Department's pilot scheme. It has never had fewer than 40 applications, and this year it received more than 100. The fund relies on donations, and this year just over a third of its applicants were successful. While five universities and two ITs now offer scholorships and/or places on access programes to asylum seekers. They are DCU, NUIG, UL, UCC, UCD, AIT and DIT. DCU and UCC confirmed to RTÉ News that scholarship programmes for asylum seekers are oversubscribed. Mr Henderson said he believes that "word has gotten around" in the asylum seeker community that the Department of Education's Pilot Scheme is too restrictive, and that people don't believe that if they were to apply they would be successful. The former Minister of Education Jan O'Sullivan who first introduced the scheme has been critical of the fact that a decision on the scheme has not been made for the upcoming academic year. Speaking to RTÉ News the Labour TD warned against abandoning the scheme, and called for it to be improved, suggesting for example that a student be required to spend three years in the Irish school system rather than five. Ms O'Sullivan said "the whole intention at the time [the scheme was introduced] was that we would learn from the first year and improve the scheme if necessary."